Dimensions: 28L x 23W x 44H in. 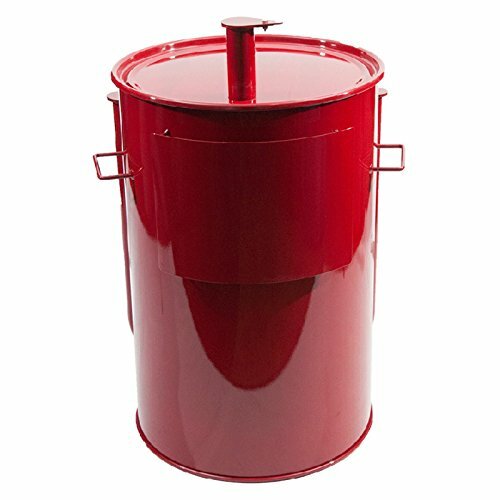 You’ll be the envy of the neighborhood once you set up the Gateway 55 Gallon Drum Charcoal Smoker in your backyard or outdoor cooking space. 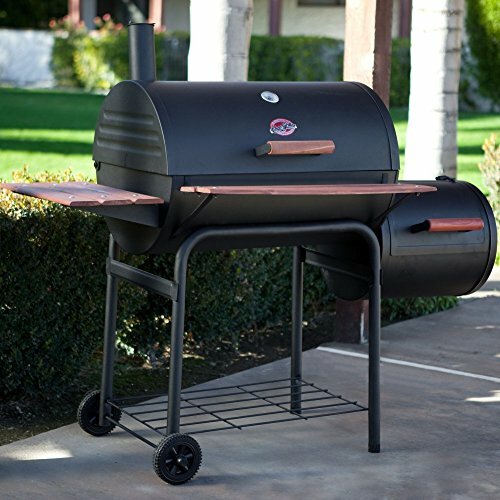 This massive smoker features a wide cooking grate that’s perfect for smoking a whole turkey or a hunk of prime rib. 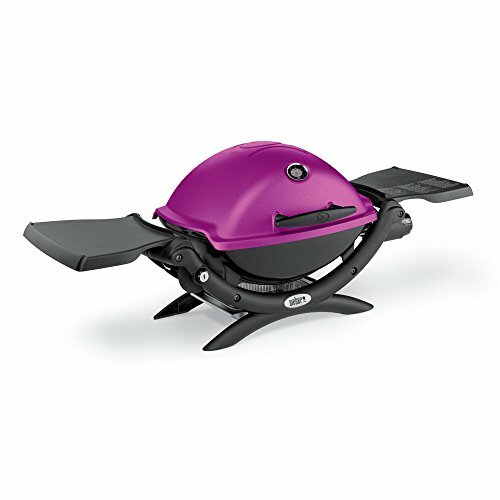 The smoker features a removable, large capacity fire basket to keep you cooking for hours with ease. 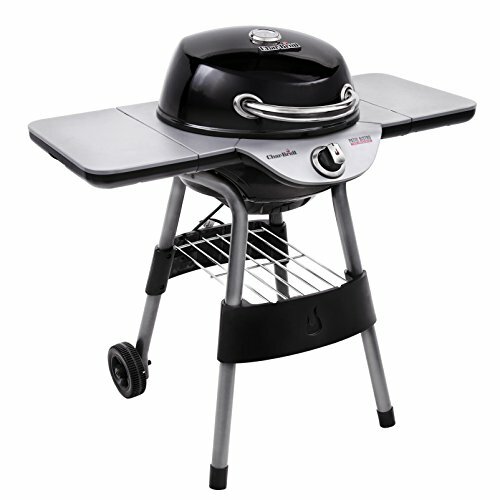 The smoker has a temperature range between 250- and 325°F, easily monitored with the front-mounted thermometer. Welded air intake- and exhaust-pipe make quickly adjusting the temperature a snap. 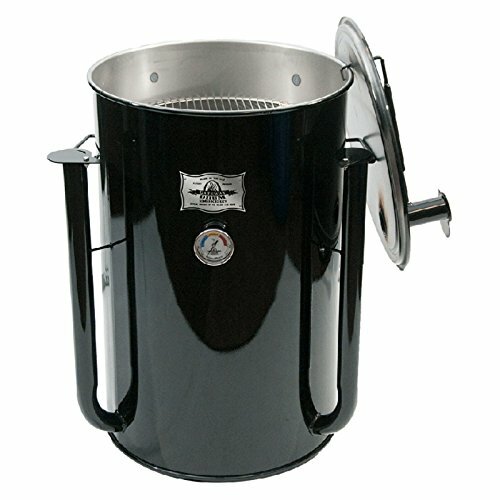 Gateway’s unique design allows for hot and fast smoking that reduces the time involved without sacrificing moisture or flavor; traditional slow smoking is still an option. 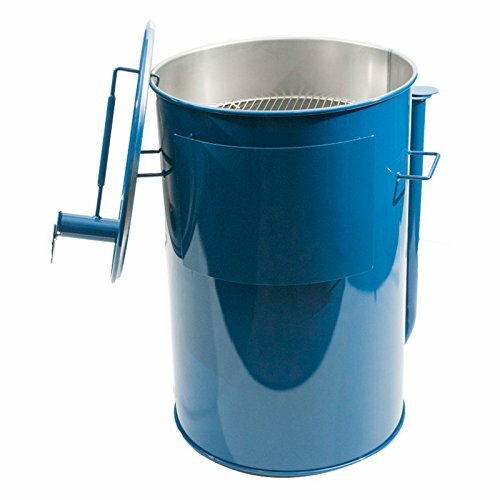 Welded steel handles and a removable caster kit make transporting the smoker simple. 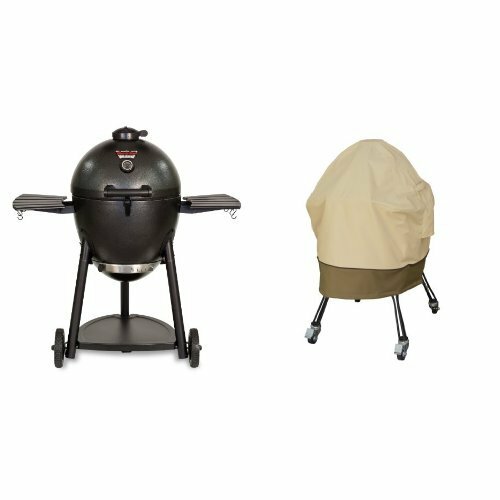 The smoker is crafted from solid steel and comes in your choice of high-heat resistant paint: black, blue, charcoal, or red; color options are subject to availability. About Gateway Gateway knows that good barbecue is as American as fireworks and baseball. That’s why they’ve dedicated themselves to perfecting the smoker to produce high-quality cooking results bursting with flavor. Each of their products is manufactured domestically using authentic American craftsmanship you can count on. The Gateway Drum Smoker came to life right in the middle of barbecue country in Missouri, winning several awards for quality. In addition to the smokers, Gateway offers a line of accessories, rubs, and sauces to help care properly for your meat. For quick cuts or slow-roasted ribs, Gateway has a smoker to suit your needs. 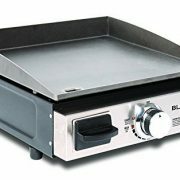 Wide plate-steel cooking grate. Dimensions: 28L x 23W x 44H in.. Constructed from solid steel. Select from available color options. High-speed or slow-roasted cooking. Removable caster kit for mobility. Center-mounted thermometer prevents overcooking.